Sometimes its easier to check outfits when worn by actual humans - aside from on some sort winter wolf creature. 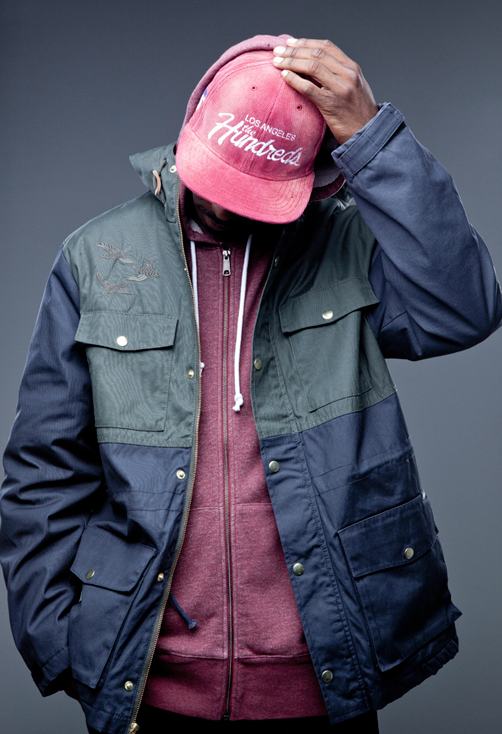 The Hundreds released some new images from their Fall 2012 collection, this time, styled by Ben Hundreds and worn by Jay Ughh of CBG. I'm digging the set up above - even the faded hat - which is a tad 'east coast/frat boy', but not over the top enough to kill it. Check the rest of the shoot here.